Take the water where you want it with the AQUA JOE heavy-duty garden hose. 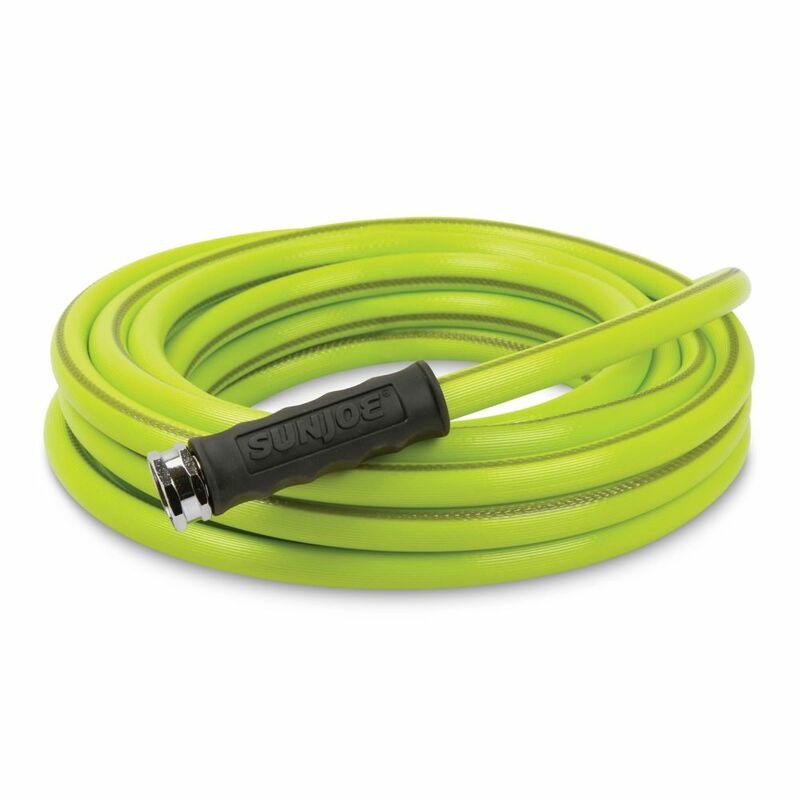 The 5/8-inch flow, kink-resistant 25' hose features durable zinc fittings for secure, leak-proof connections plus a protective bend-restriction sleeve for uninterrupted flow. Constructed of rugged, kink- resistant high-grade PVC for maximum durability and performance. Lead-free, phthalate-free and BPA-free. Perfect for watering the flowers, washing the car, rinsing patio furniture or connecting to a lawn sprinkler. 5/8-inch x 25 ft. Heavy-Duty Garden Hose Take the water where you want it with the AQUA JOE heavy-duty garden hose. The 5/8-inch flow, kink-resistant 25' hose features durable zinc fittings for secure, leak-proof connections plus a protective bend-restriction sleeve for uninterrupted flow. Constructed of rugged, kink- resistant high-grade PVC for maximum durability and performance. Lead-free, phthalate-free and BPA-free. Perfect for watering the flowers, washing the car, rinsing patio furniture or connecting to a lawn sprinkler. 5/8-inch x 25 ft. Heavy-Duty Garden Hose is rated 4.8 out of 5 by 15. Rated 5 out of 5 by Faulty from It delivered what it claimed with no kinks. I also like the high visibility color. It delivered what it claimed with no kinks. I also like the high visibility color. Rated 5 out of 5 by Berdesany from Great Product Works Well. Now for the Hose seems to be working fine Anther A+ not much to say but works well.